If you’re an avid young adult reader of any age, chances are you’ve already dream cast your favorite YA books of the last year. But with more and more YA novels being optioned for film – and going into production! – the fun doesn’t stop with carefully curated Tumblr posts and fan trailers. Mark your calendars, YA fans. Because 2018 is going to be a busy year at the movies. Love, Simon, a movie based on Becky Albertalli’s 2015 novel Simon vs. The Homo Sapiens Agenda, comes out this month. (No pun intended.) It’s heartwarming story about a closeted gay teen with a supportive family who keeps his sexual orientation a secret from everyone around him. Because he knows that he’d have a drama free coming out, Simon struggles with the decision to remain closeted. Until he sees an anonymous post online from a classmate who goes by the pseudonym “Blue,” confessing the same secret. The two form a sweet pen pal connection and, in Simon’s words, it gets romantic AF. Nick Robinson (Olly in the film adaptation of Nicola Yoon’s Everything, Everything) plays Simon Spier and Josh Duhamel and Jennifer Garner play his amazing parents. And we’re total suckers for incredible YA parents. The Miseducation of Cameron Post, based on the 2012 Emily M. Danforth novel of the same name, won the Sundance Grand Jury prize earlier this year. The prize is the highest honor a film can receive at Sundance and while no official announcements have been made, we’re hoping that this indie buzz leads to a nationwide release. This dramatic and sometimes romantic story follows Cameron Post, a teenage girl who was caught sleeping with her school’s Homecoming Queen and subsequently sent to a gay conversion camp. Chloe Grace Moretz is no stranger to YA (she played Mia in Gayle Forman’s If I Stay) but we’re particularly excited to see her on the big screen as Cameron Post. Relative newcomers Sasha Lane (American Honey) and Forrest Goodluck (The Revenant) play her constant companions at the camp. With no official release date in sight, it’s difficult to mark our calendars for Dumplin’, a movie based on Julie Murphy’s 2015 novel of the same name. But this movie’s incredible cast is enough to tide us over in the meantime. Willowdean “Dumplin’” Dickson is played by the incomparable Danielle Macdonald, the star of last summer’s Patti Cake$, Willowdean’s mother Rosie is played by Jennifer Aniston, and even Dolly Parton is involved. (Playing herself, natch.) Julie Murphy’s novel takes place in Texas and revolves around a local beauty pageant. When Willowdean, a self-proclaimed fat teenager, enters the Miss Teen Blue Bonnet Pageant and declares that she’s determined to win, she doesn’t realize she’s about to start a minor movement. Filming wrapped in October and the movie is currently in post-production. Fingers crossed we get to see this film soon! In the meantime, we’ll be assembling our Homecoming mums. Jenny Han is a one-woman cheerleading squad for YA movie adaptations, so we’re thrilled that her 2014 novel To All the Boys I’ve Loved Before is getting the star treatment. This YA romantic comedy is set in motion when secret love letters that Lara Jean wrote to her crushes make their way (through sibling mischief) into the mail and in the hands of their unintended recipients. Filming wrapped in August, but a release date hasn’t been set. But according to Jenny Han’s Twitter, we can count on this movie hitting theatres before the year is out. 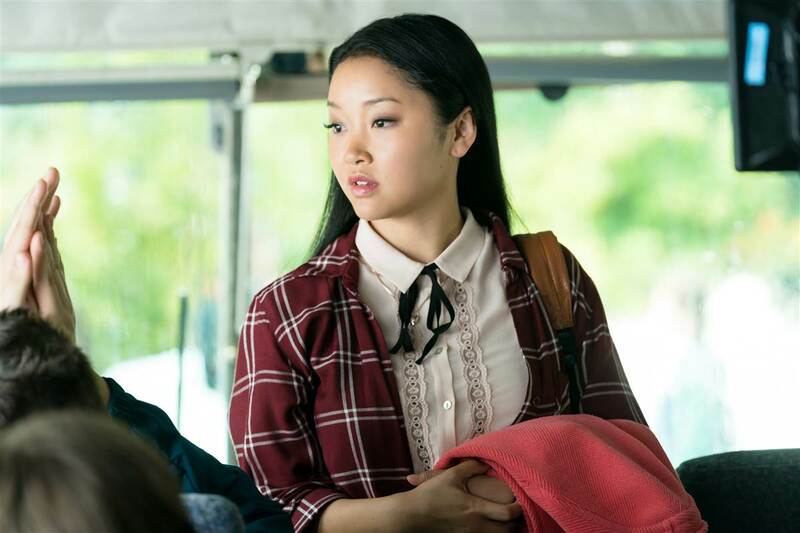 Lana Condor (X-Men: Apocalypse) plays Lara Jean Covey and Janel Parrish (Pretty Little Liars) plays her older sister Margot. Everyone’s favorite 2017 YA novel The Hate U Give, an immediate New York Times bestseller by Angie Thomas, is hitting theatres this year. Or next year. That much is still unclear. But what’s not unclear is that Amandla Stenberg will be playing the film’s lead, the aptly named Starr. Filming wrapped in October, so of course we’re hoping for a Dumplin’-The Hate U Give double date opening weekend. With a cast that includes Common, Issa Rae, and Regina Hall, it’s hard not to get excited.